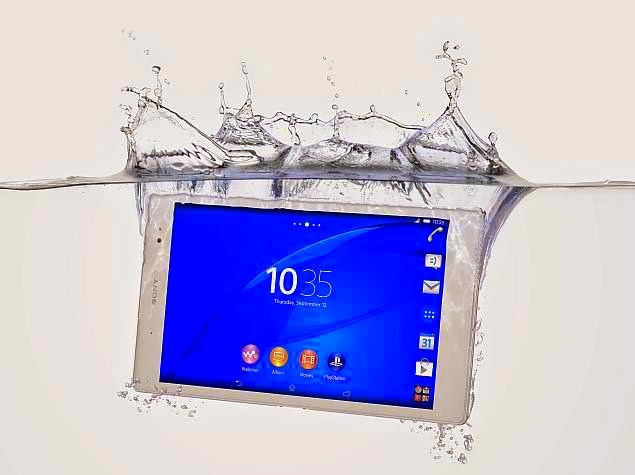 Sony Xperia Z3 Tablet Compact launched! Aside from Xperia Z3 smartphone, Sony also launched Xperia Z3 Tablet Compact in the country that features stunning 8-inch HD diplay, quad-core Snapdragon 801 CPU and water resistant, with the SRP at Php31,990. The Xperia Z3 Tablet Compact runs Android 4.4.4 KitKat operating system that comes with 3GB memory and 8.1 megapixel rear camera paired with 2.2 megapixel front camera. The new mobile phone is dust proof and Shatter proof glass. 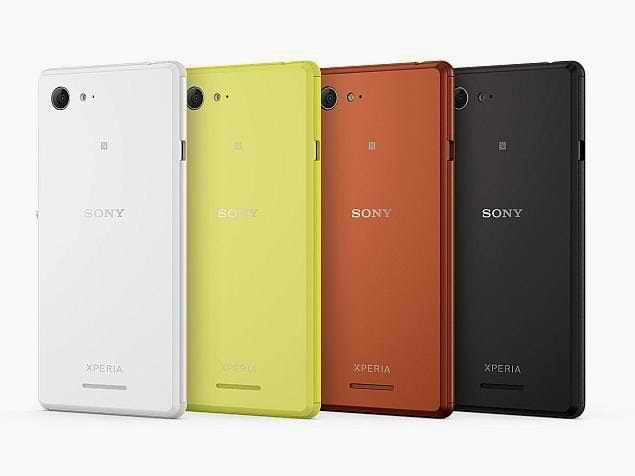 Sony recently launched its newest affordable android mobile phone in the country, featuring Snadpragon 400 quad-core CPU, LTE connectivity and 5 megapixel rear main camera, the Sony Xperia E3. The Sony Xperia E3 is the successor to Sony Xperia E and Xperia E1. 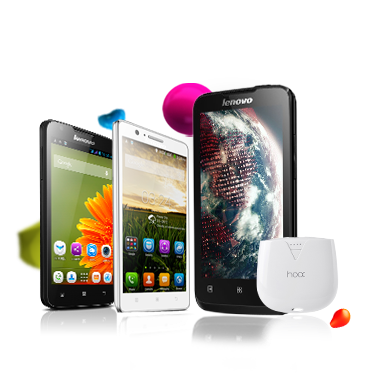 It equipped a quad-core Snapdragon 400 processor clocked at 1.2 GHz and runs Android 4.4 KitKat operating system. It also comes with 1GB RAM and 5-megapixel rear camera. Local carrier GLOBE has opened its pre-order page for the Samsung Galaxy Note 4. 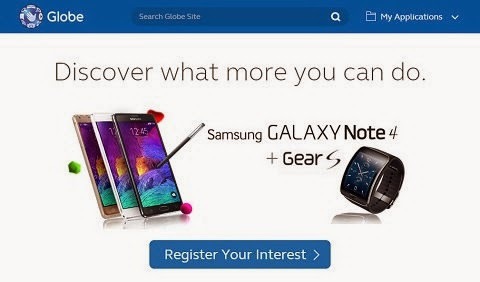 On Globe's portal site, it shows that GLOBE will be launching the Samsung Galaxy Note 4 along with the Gear S smartwatch. Postpaid plans for this new device is not yet reveled, but interested subscribers may register and select the device’s color in advance. Available colors are Charcoal Black, Frost White and Bronze Gold. A lot of Samsung fans in the Philippines are looking forward to have their own Samsung Galaxy Note 4, which will be available in the country on October 25, 2014, with the suggested retail price of Php37,990. 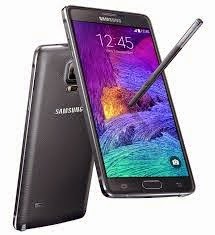 The Note 4 equipped 2.7GHz Qualcomm Snapdragon 805 processor and runs on Android Kitkat 4.4. It has also stunningly clear, 5,7 inch HD screen and adaptive charging. The classic and sleek ASUS Zenbook UX303LN is finally available in the Philippines, with a P49,995 price tag. 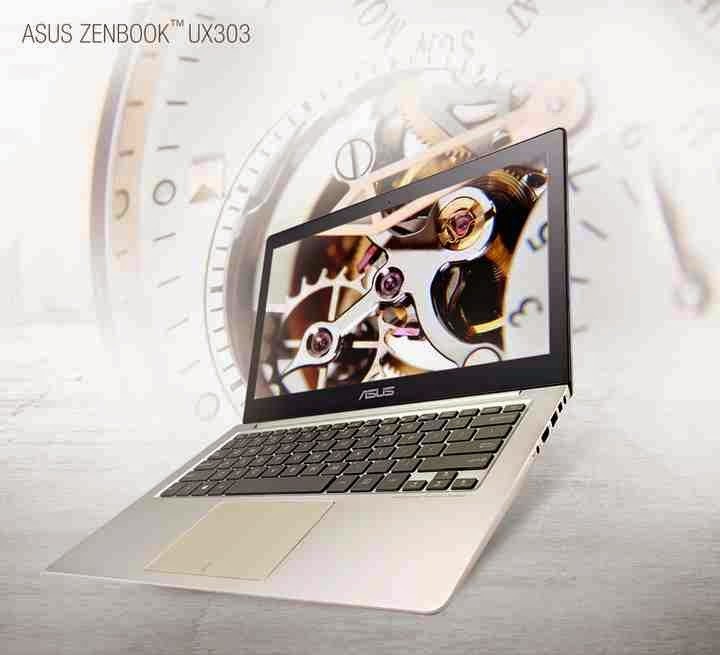 The ASUS Zenbook UX303LN is powered by an Intel Core i7 processor and runs Windows 8.1 operating system. It has dedicated NVIDIA GeForce GT840 graphics and 16:9 IPS FHD (1920×1080) LED multi-touch display. NBA 2K15 finally arrives in PH! NBA 2K15, a basketball simulation video game, is finally here in the Philippines. 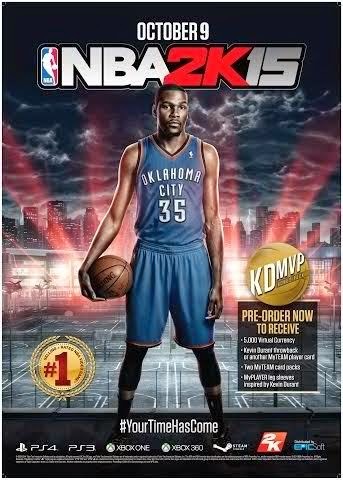 Developed by Visual Concepts and published by 2K Sports, NBA 2K15 is the sixteenth installment of the NBA 2K franchise, which was released on October 7, 2014 in North America and on October 10, 2014 in the rest of the world. Smart recently announced it will offer plans that include the latest high-end mobile phone of Samsung, the Galaxy Note 4. At Aspire 3500 plan, you have the choice of either getting the FREE Note 4 with a lock-in of 30 months,or get the Gear S + 1 month MSF for free with a lock-in of 24 months. 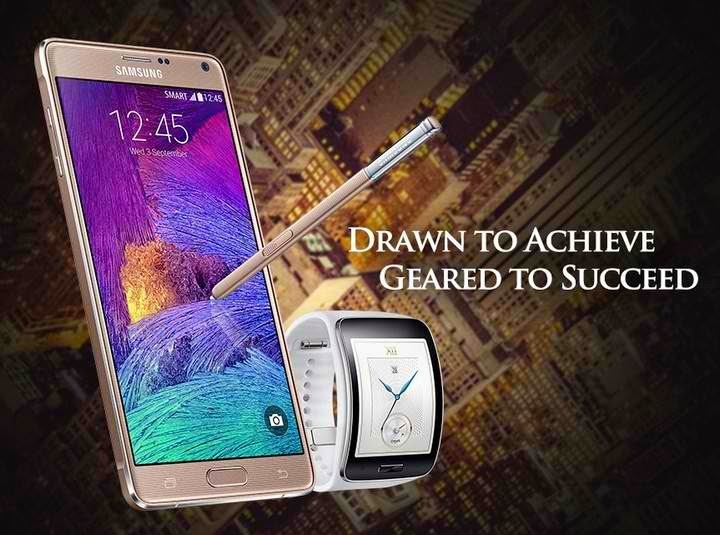 For Prestige Plan 5000, you will get Note 4 and Gear S for free, or get the Note 4 for free and get 2 VIP Chicago tickets. Lastly, under the Premium Plan 8000, customers will get either two FREE Note 4's or Note 4, Gear S, 32-inch TV, 2 VIP Chicago tickets, GC and MSF. LG Philippines has announced its latest mid-range smartphone that's equipped with 1.3GHz quad core processor and runs on Android 4.4.2 KitKat, the LG L Fino. 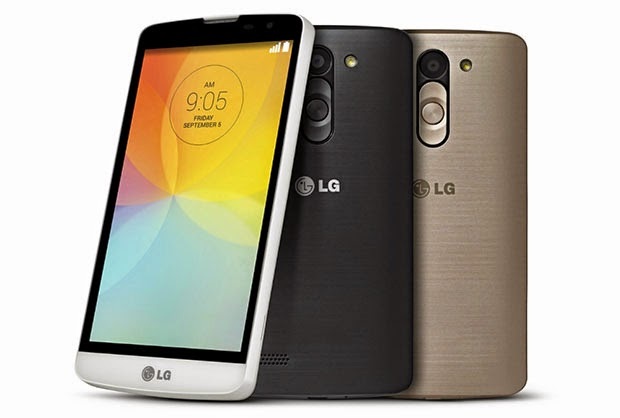 The LG L Fino boasts with a 4.5 inch WVGA IPS display, along with VGA front camera paired with 8mp rear-facing autofocus camera. It has also 1GB RAM and 4GB of internal storage as well with cool software features such as, Knock code, Front Camera Light, Touch and Shoot and Gesture Shot. 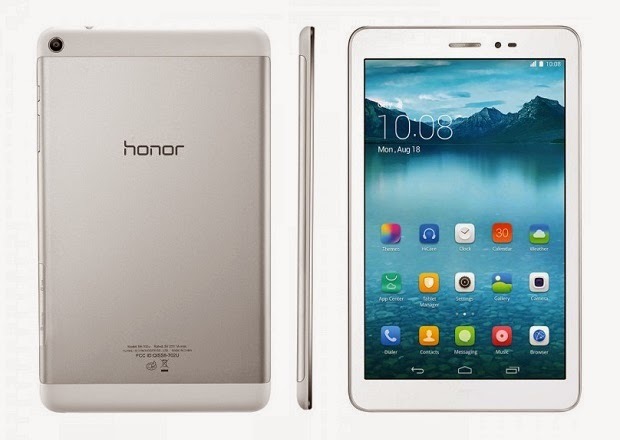 Huawei recently launched the budget-friendly Honor Tablet in Malaysia. It's 8-inch new android device sporting 3G slate with metal-clad body. Huawei Honor Tablet is equipped with Qualcomm Snapdragon 200 MSM8212 chipset with 1.2GHz quad-core CPU and runs on Android 4.3 Jelly Bean. It has 1GB RAM paired with 16GB internal storag ewhich can be expanded via microSD card slot. 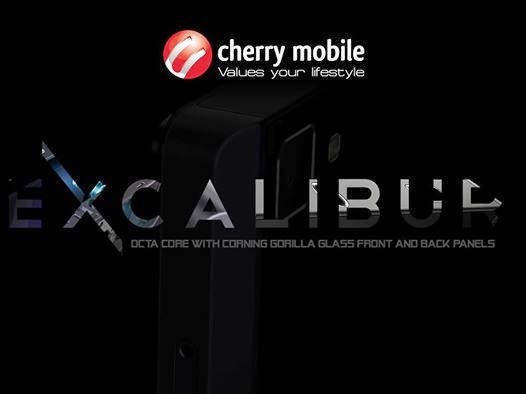 Cherry Mobile recently posted a teaser photo on its Facebook about of its latest offering, the Cherry Mobile Excalibur. On the photo, it has a caption that says the new android smartphone is equipped with Octa Core processor with corning glass front and back panels. Aside from the cool specs mentioned, Cherry Mobile Excalibur has 5″ HD IPS display and runs on Android 4.4 KitKat. It also features 13mp rear-facing camera with LED flash and Sony IMX179 BSI sensor, 5 megapixel front camera and 8GB ROM paired with 1GB RAM. If you're looking for an affordable yet high-end smartphone, you might wanna check the latest device of Kata, the Kata F1s. 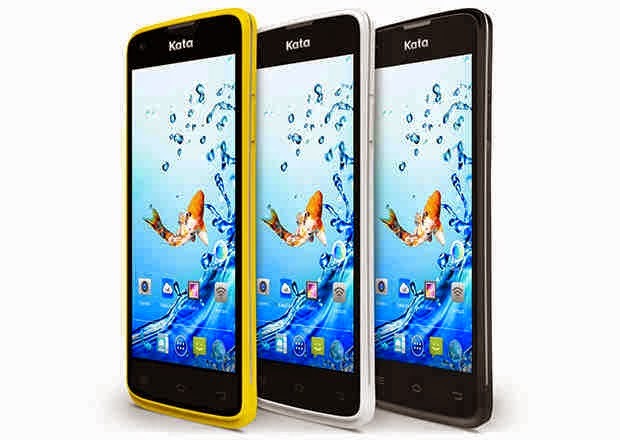 The Kata F1s boasts 1.3GHz MTK6582M quad-core processor and runs on a Android 4.4 KitKat operating system. It also features 1GB RAM paired with 8GB internal storage expandable up to 32GB via microSD , 8 MP main camera w/ LED flash, 5 MP front camera and dual sim. Available colors would be white, black, and yellow. Another Lenovo smartphone to look forward in the Philippine market is Lenovo Vibe Z2 Pro. The Lenovo Vibe Z2 Pro is equipped 2.5GHz Qualcomm Snapdragon quad core processor and Android 4.4 KitKat operating system. It also features a 6 inch QHD IPS display, 3GB RAM paired with 32GB internal storage (non-expandable storage) and 4,000mAh battery. Subscribe to a Globe 499 plan now and get a FREE Lenovo A536 with a FREE high-end Tulip Hoox Power Bank 3000 mAh when you apply online. The 499 plan comes along with Lenovo devices powered by Globe. 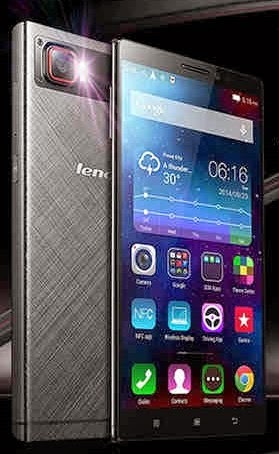 One of the mobile phones on this plan is Lenovo A536, which features Android 4.4.2 KitKat operating sytem, 5-inch display, 5MP manin camera and other powerful specs. With regards to services like calling, text messaging and data plan, customer can create their own plan combo. The process can be done via online or ask customer reps at any Globe stores natiownide. 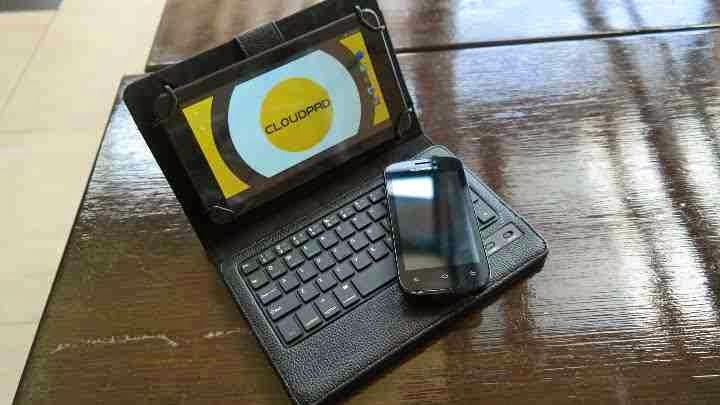 Technology giants CloudFone, Intel, and Globe Telecom joined forces to further grow tablet penetration in the country with the launch of the newest CloudFone Epic 7.0 Intel-powered tablet, signifying the first local tablet brand powered by Intel to be launched with a postpaid plan from Globe. For only P499 a month, the smartphone-tablet-keyboard bundle will provide the most value for consumers seeking the best Internet experience on a 7-inch tablet screen, while providing a complete and reliable mobile productivity solution for customers. Fujifilm recently launched its latest product that carries powerful camera sensor, fast processor and cool viewfinder- the Fujifilm X100T. 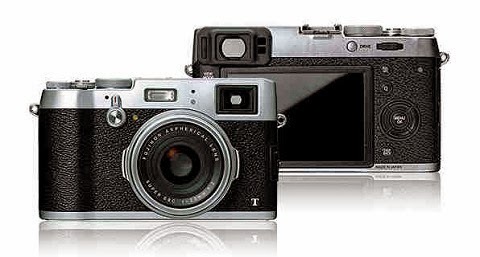 The X100T is the 3rd generation of the ever-popular Fujifilm X100 series. It is photographer-friendly camera with unique hybrid viewfinder and compact rangefinder-style build. 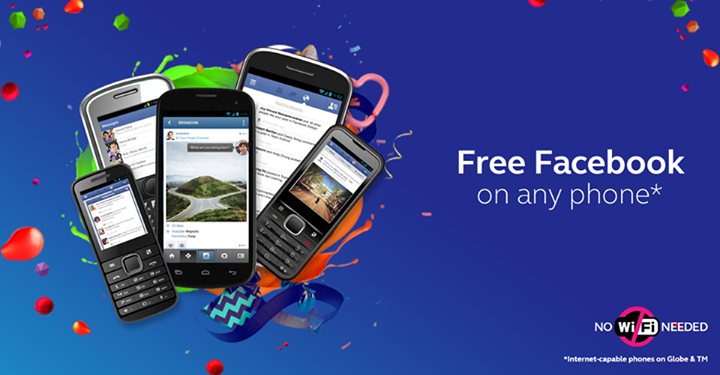 Globe's Free Facebook offer is back! Postpaid, prepaid and TM customers can now access Facebook without having to connect to a Wi-Fi network at zero data charges. Beginning today, Globe will progressively roll out the Free Facebook offer to over 43 million mobile customers. Free Facebook can be accessed on feature phones and smartphones across all Facebook mobile platforms whether via the Facebook app or Facebook's mobile site m.facebook.com. Great news to all SMART, Talk N Text and Sun Cellular Prepaid subscribers. One of the biggest telco company in the country, SMART, recently announced that they are going to offer FREE INTERNET to all its prepaid subscribers. Prepaid users can get FREE service up to 30MB per day. That’s free internet browsing, facebook, email, and other online services.Just a reminder! Downloading videos and use of P2P will create regular charges or it may use your regular load. To get this FREE service, Text FREE to 9999. Visit smart.com.ph for more details. 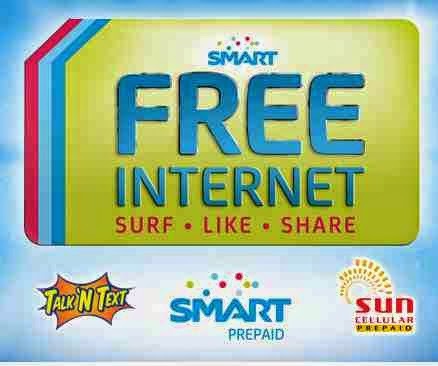 SMART FREE Internet will end on November 30, 2014.